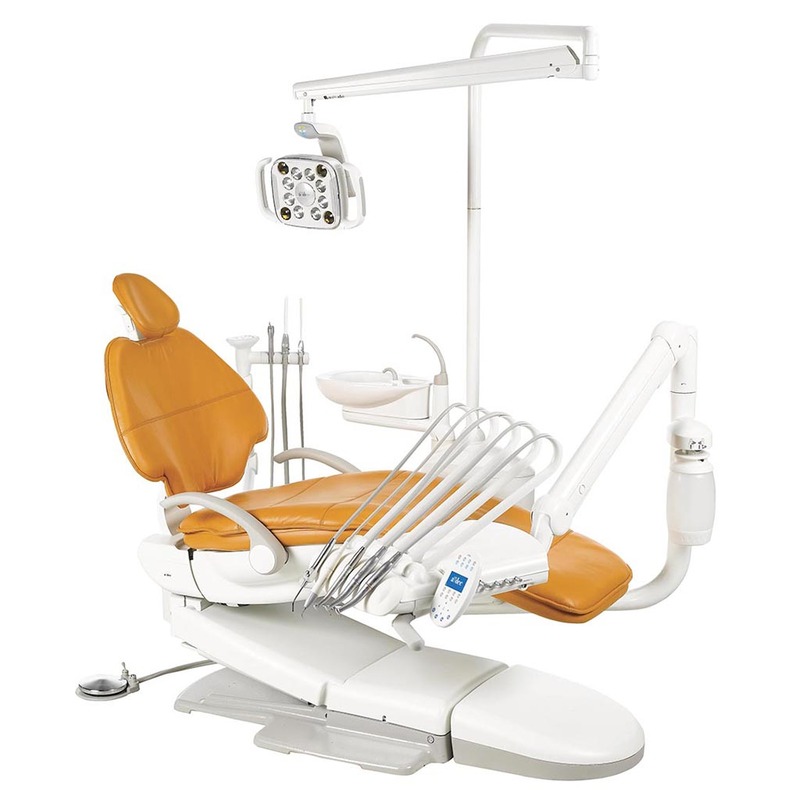 A-dec 500 is dentistry’s hallmark for treatment room comfort and performance. 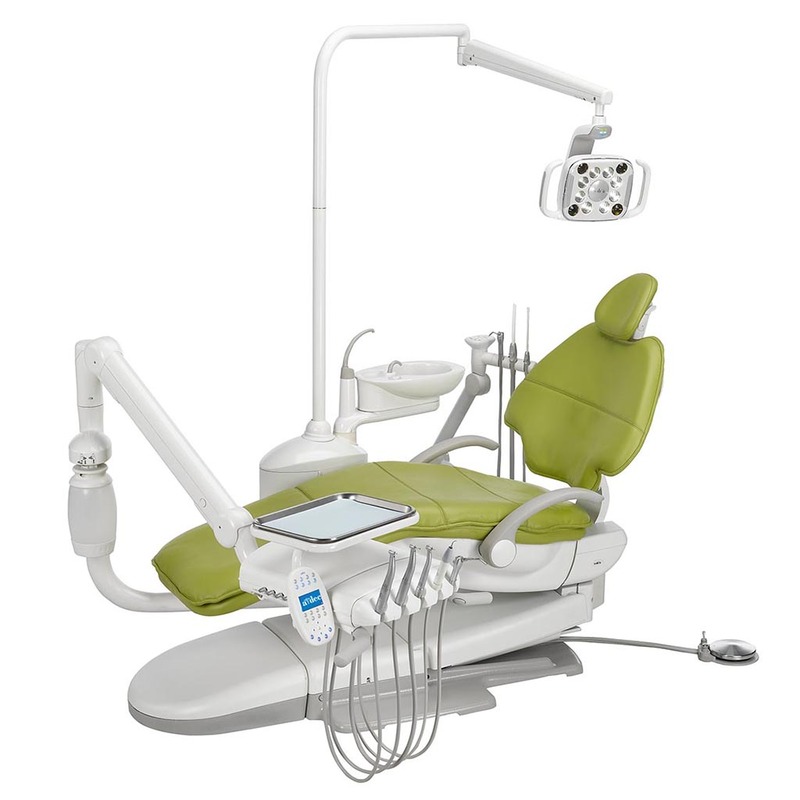 A-dec 500 gives you optimal ergonomics supported by a full range of integrated possibilities. 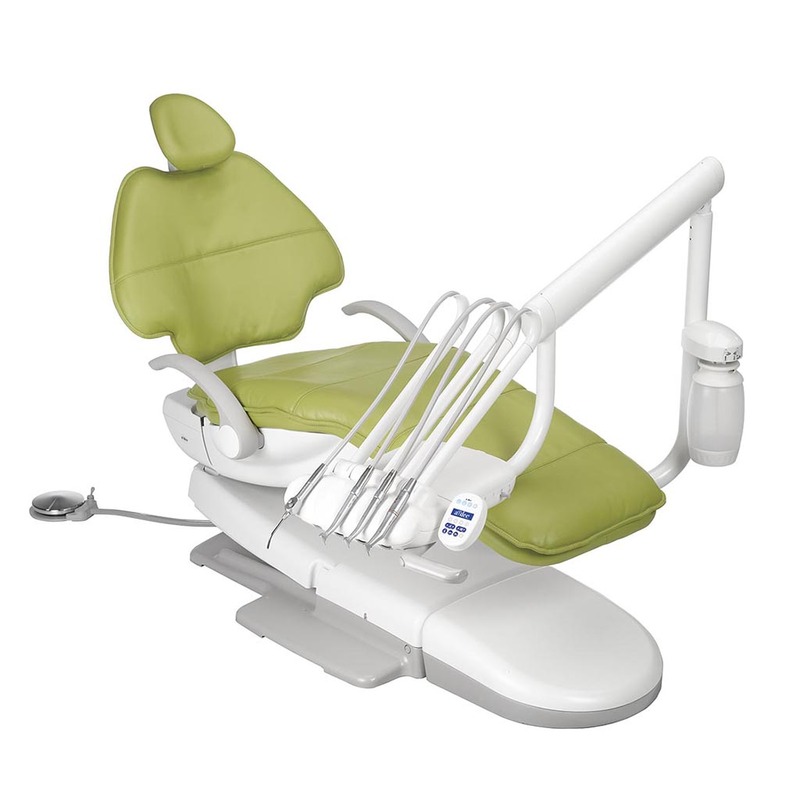 And with a chair ride that is exquisitely smooth, you will see why A-dec 500 is unmatched in its graceful innovation. Expansive integration. Unsurpassed ergonomics. 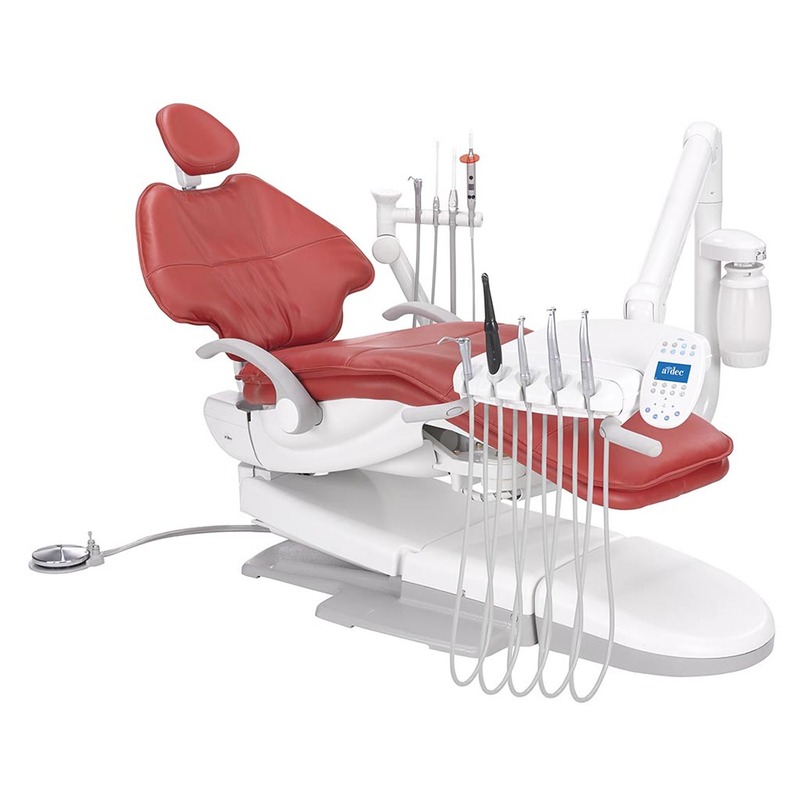 A‑dec 500 delivery systems provide you with internal integration of all your instruments and ancillaries so you can work efficiently and comfortably. Choice of Continental or Traditional system with pivoting chair mount for easy left/right conversion. Ultra-thin backrest that “flexes”: Enables you to comfortably tuck your knees under the chair–no hard metal back to worry about; cradles the patient in comfort and features upholstery thinner than 1″ (25 mm) in some areas. 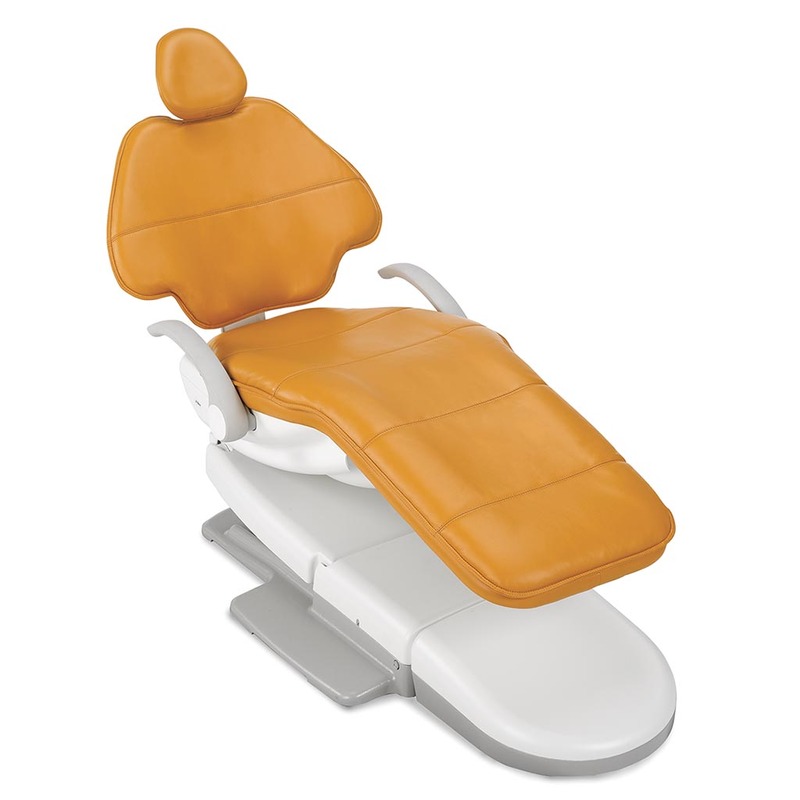 Double-articulating, gliding headrest: Moves with the patient to improve comfort; adjusts easily with one hand. 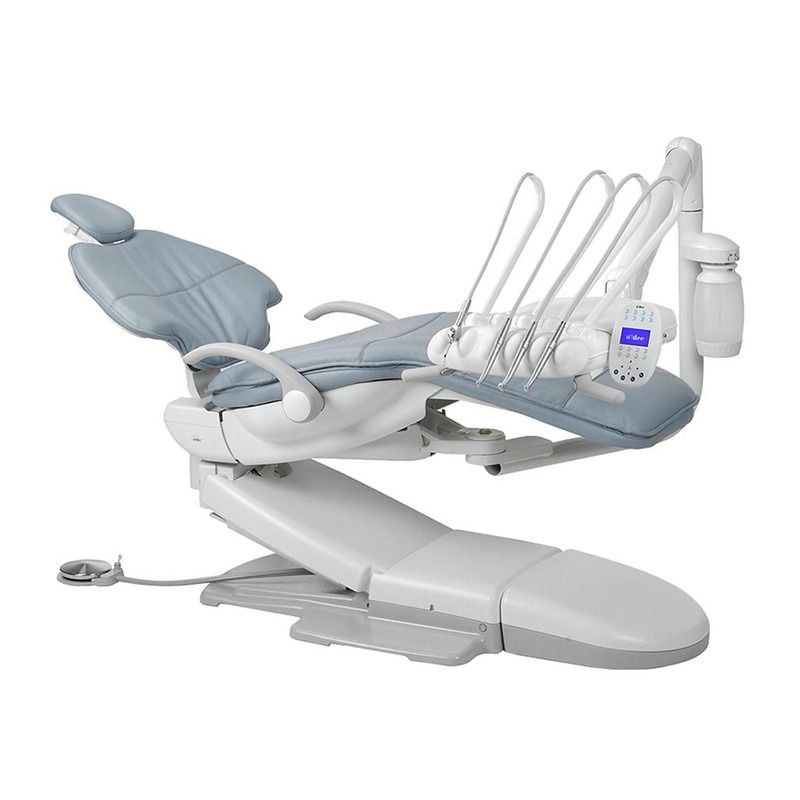 Innovative hydraulic lift system: Results in gentle stops and starts during patient positioning. Expanded height range: Offers a range from 13.5″ (343 mm) to 31.5″ (800 mm) so any doctor, regardless of height, can work comfortably. 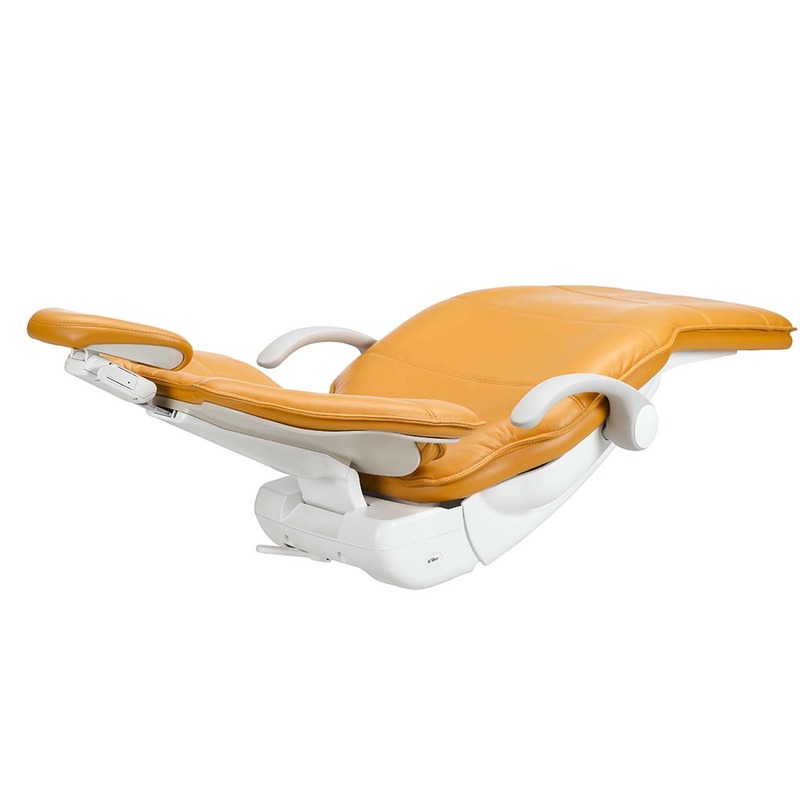 Multi-position armrests: Rotates out of the way to streamline patient entry and exit. Cut-away, cast iron baseplate: Allows you to roll your stool closer to the patient; provides six contact points for added stability on uneven floors.